If you’re planning to escape around February 14 to somewhere quiet with the love of your life, a number of beautifully located country house hotels with a reputation for fine food have attractive deals available. Lorna Doone was a great Victorian fictional romantic heroine and down on Exmoor, on the borders of Devon and Somerset, visitors can follow in her footsteps through magical, timeless countryside, taking in tucked-away Snowdrop Valley walks, where a carpet of delicate flowers bursts into life each February. Stay at the Culbone Hotel at the top of Porlock Hill and you can trek to idyllic Robber’s Bridge or strike out along the South West Coast path. Exmoor is listed as a Dark Sky Reserve, unpolluted by light, so an evening’s stargazing across the Lorna Doone Valley could be just the ticket after dinner from Culbone’s special Valentine’s menu. The price on February 14 and 15 for dinner, bed and breakfast is £160 per couple each night. Doubtless Worcestershire’s Malvern Hills have been a source of inspiration for lovers as well as the great composer Edward Elgar, who lived there. 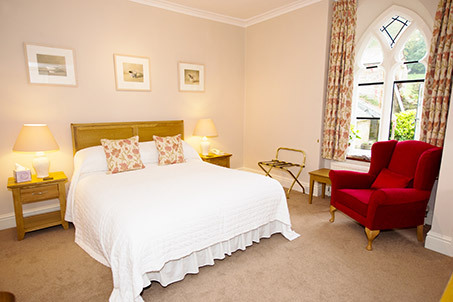 Located in the centre of the village of Colwall, close to Great Malvern and in the foothills of the Malverns, Colwall Park is offering a third night free for couples booking a two-night Valentine’s break. A candlelit dinner is served on February 14, as well as a chilled bottle of champagne and handmade chocolates in the room on arrival. The break, costing £395 per couple, also includes dinner on Saturday night and breakfast both days. Guests can then enjoy free B&B – worth £140 – on Sunday night, provided they take dinner in either the contemporary-style Seasons restaurant or the panelled Lantern Bar. Seventeenth-century Howard’s House enjoys a picture-book location beside a stream in the charming little village of Teffont Evias in Wiltshire. 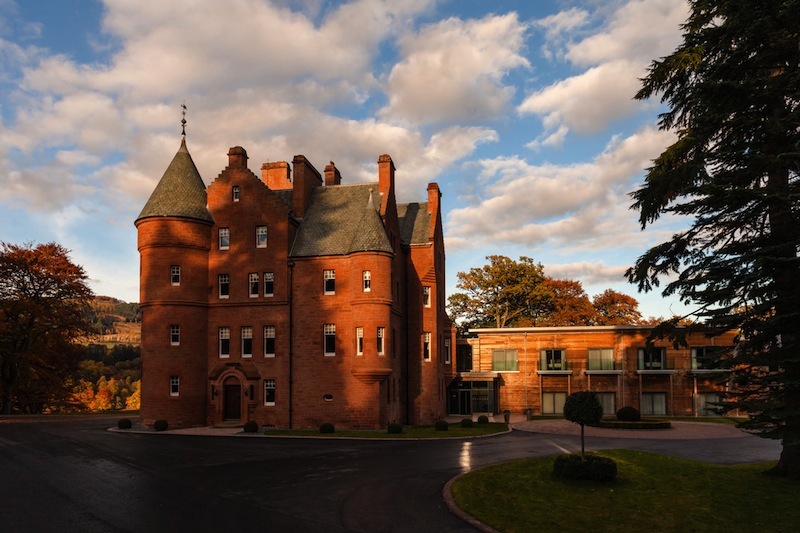 What’s more it has held the Good Hotel Guide’s Cesar Award for Britain’s Most Romantic Hotel since 2011. It has ten pretty bedrooms and a cosy lounge with log fire. Highlight of a two-night break (February 14 and 15) is a special six-course tasting menu with champagne and canapés enjoyed by candlelight on one night. The cost of £550 per couple also includes dinner the second night, breakfast each day and fresh flowers, home-made chocolates and a half-bottle of champagne in the room. The village is within a designated Area of Outstanding Natural Beauty and there are scenic country walks from the door. The medieval cathedral city town of Salisbury is a short drive away.